The trend is up if 50 exponential moving average (50 EMA)>200 exponential moving average (200 EMA). The trend is down if 50 exponential moving average (50 EMA)<200 exponential moving average (200 EMA). Trend is up 50EMA >200EMA, the histogram MACD is above of the moving average (red) and the candle close above the Pivot Points Levels indicator. Open long at open next bar. Trend is down 50EMA <200EMA, the histogram MACD is below of the moving average (red) and the candle close below the Pivot Points Levels indicator. Open short at open next bar. Axit also at the next pivot points levels. 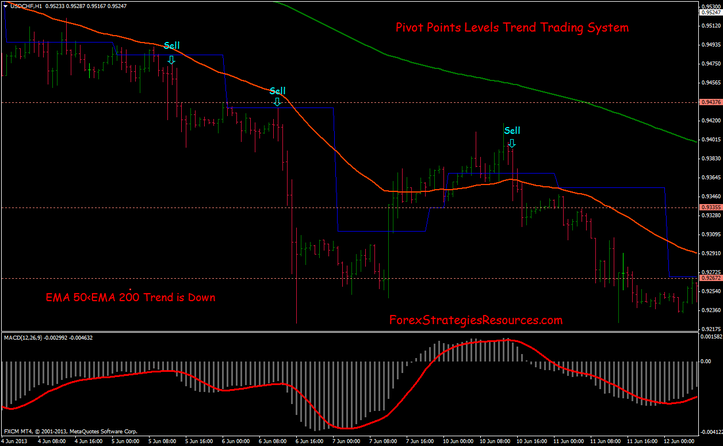 Place initial stop loss on the previous swing after 20 pips in gain move stop loss at the levels of entry point. 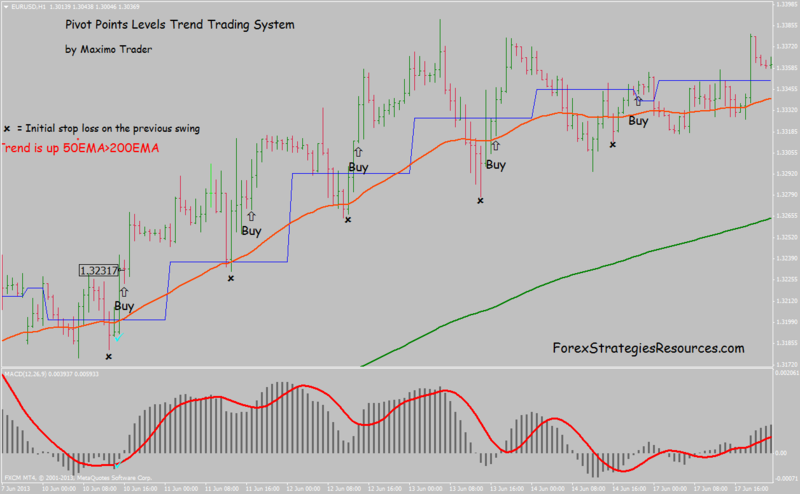 This Strategy is also good for trading with Binary Options. In the pictures belowPivot Points Levels Trend Trading Systemin action. Share your opinion, can help everyone to understand the Trading System.